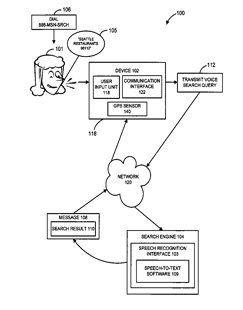 Microsoft has received a patent for Searching for content using voice search queries. A system, method and computer-readable media are disclosed for searching for content from a device. The system, method, and computer-readable media are adapted to transmit a voice search query from a device and can in return allow the device to receive corresponding non-voice search result data. Once non-voice search result data is received it can be displayed to the user on a display of the device. Details: US Patent & Trademark Office website.